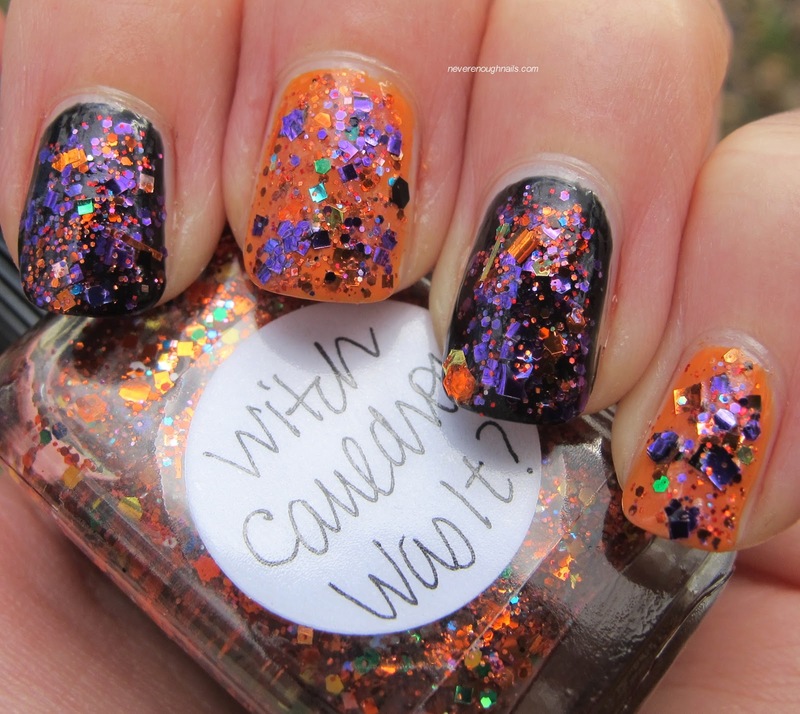 Never Enough Nails: I Forgot, Witch Cauldron Was It that had my Love Potion No. 99?? I Forgot, Witch Cauldron Was It that had my Love Potion No. 99?? This is definitely one of my favorite Halloween looks I have done, possibly ever. I started by applying OPI Mourning Glory and OPI Hi, Pumpkin! on alternating nails. On my left hand, I did it so that three nails are orange and two black. On my right, I did three black and two orange, just for fun! Then I applied Lynnderella Love Potion No. 99 to the black nails and Lynnderella Witch Cauldron Was It? to the orange nails. Lastly, I dabbed a bit of Love Potion No. 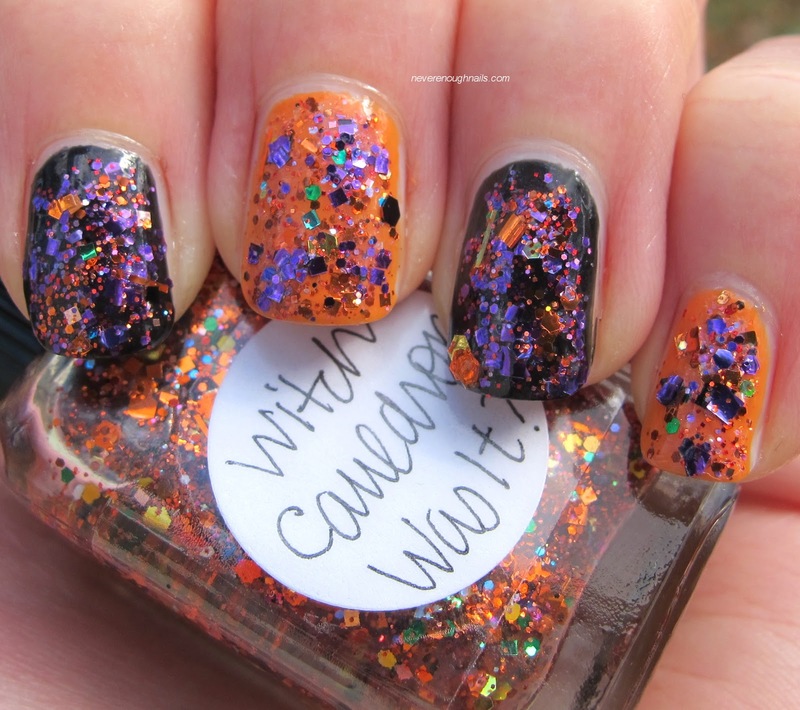 99 on the orange nails and a bit of Witch Cauldron Was It? on the black nails to add some extra color. Lynnderella's most recent post actually gave me the idea! This was my first time trying Witch Cauldron and Love Potion. I have to say, the formula of both was absolutely excellent. Witch Cauldron is a huge improvement on my already beloved Cauldron Drippings. I was super obsessed with Cauldron Drippings, so I'm sure my love of Witch Cauldron is borderline unhealthy. Both of these polishes were densely packed with glitter, and I easily could have left them at one coat. 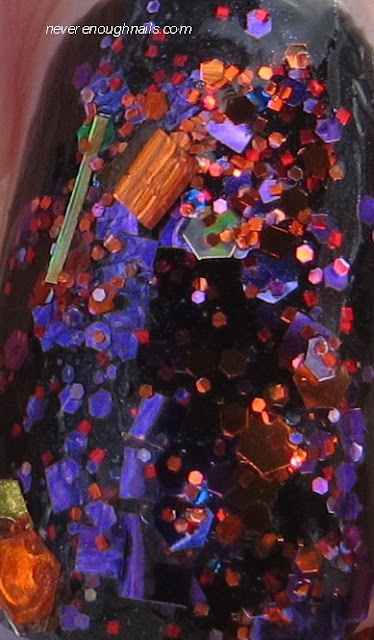 I was just going for the all-out MAX amount of glitter I could get. I want to wear this FOREVER, so I did a coat of Gelous and a coat of Poshe to finish it off. 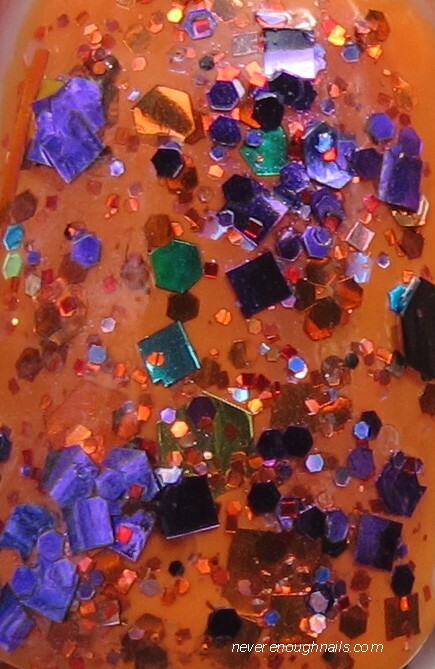 There are some very cool teeny iridescent glitters in these as well. They don't really show in the pictures, but they add a lot to the polish. 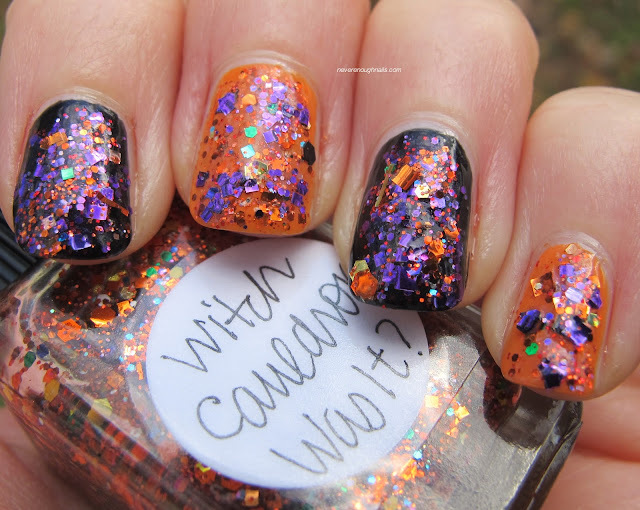 Both of these polishes are from Lynnderella's latest collection, Early Halloween Resurrected. They are available now, along with tons of other goodies, at Lynnderella's eBay store. Happy Halloween!! Any plans for tonight? My city has officially rescheduled Halloween until Nov. 7, due to Sandy. They are still live wires and trees down, not exactly safe trick-or-treating conditions. I plan to watch Hocus Pocus tonight though. I'm kind of excited because I get an extra week to have Halloween decorations and Halloween nails!